Deciding how much to charge for your pots can be tricky. Tricky because you are a unique individual that makes unique work and your situation is different from everyone else. There is no single formula that will work for everyone. 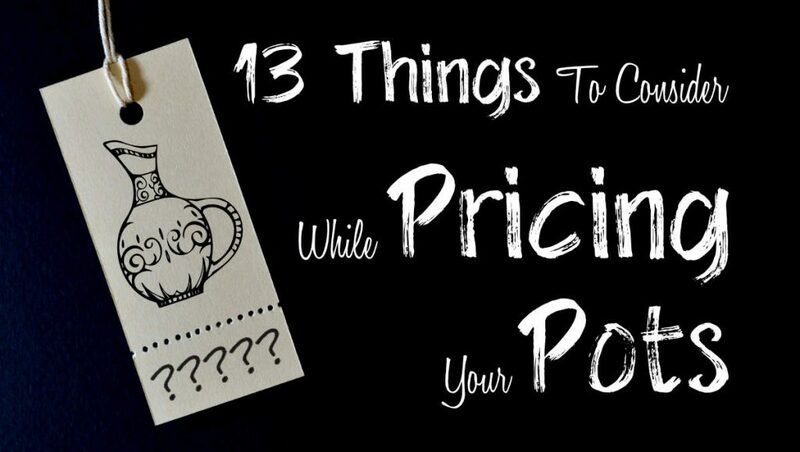 So instead of trying to create a one-formula-fits-all that won’t be perfect for anyone, let’s explore 13 things to consider while pricing pots. You don’t have to consider every single one of these things when you price each pot but seeing the possibilities can help you fine-tune your own process and make it a perfect fit for YOU. Okay, let’s start with the most obvious. This list isn’t in any particular order but you almost HAVE TO consider your expenses. If it costs you more to make the pots than what you charge for them, you won’t be making pots long unless you have another source of income. How much do you pay for consumables such as clay, glazes, firing supplies, utilities, and other supplies? Do you have to pay for insurance or rent? If working with clay is an actual business, keeping track of expenses could help you pay less in taxes. But more importantly, you’ll have an idea about where to start pricing your pots. 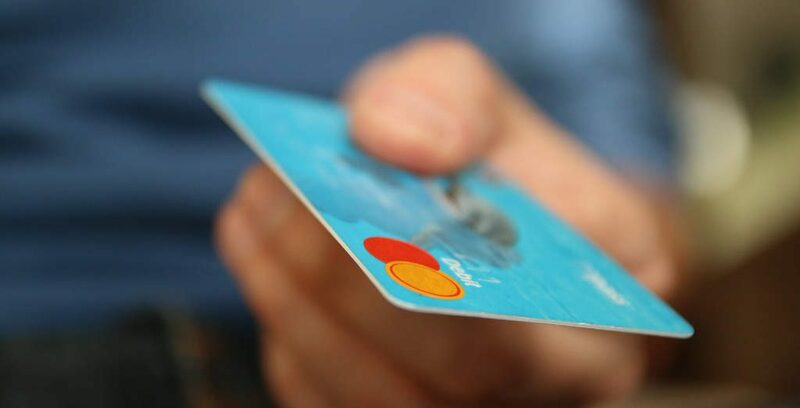 There are some different ways to calculate expenses. You can come up with a monthly expense report which is easier for utilities, rent, or insurance. But if you’re like me, every month may not be the same when it comes to utilities and supplies because I make pots in cycles and take varying amounts of time off between the cycles. Another way to think about expenses is a cost per pot. 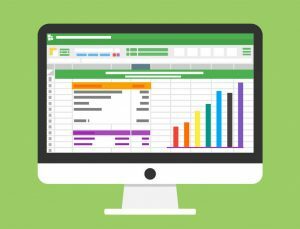 You’ll probably end up finding the total expenses for a large group of pots and then dividing by the number of pots to get an average cost per pot. This can work well, especially if the pots in the group are all similar. Considering the cost of equipment can also be a little tricky because it’s usually a large expense up front but then you get to use the equipment for a long time with little cost. Some potters set aside an equipment budget each month or year for maintenance costs or to make new purchases when needed. You also have to consider expenses that are not directly related to making pots. For example, marketing, travel, documenting, etc. Where do you sell your pots? What kind of entry fees or time commitments are required? If you sell in a gallery, they may keep up to 50% of the final sale price. Do you do any kind of advertising? No matter how you do it, you should keep track of how much you are spending to create, sell, and market your pottery. One thing that I’ve found helpful to keep track of expenses is to create a separate account, credit card, and paypal that I use to make any pottery related purchases. That way I can quickly look and see how much money is “going out” at any point. I also record my purchases in a spreadsheet so I have a little more detail about each purchase and have a record for future use. The next thing to consider is your personal financial goals. How much money do you WANT to make while selling pots? Do you have a family of four that is completely dependent on your income from selling your work? Do you make a comfortable income at your day job and make pots as a hobby? Are you somewhere in between? You can set a yearly income goal. That will give you an average of how much you need to make each month or week. If you know about how many pots you make each month or week you can start to get an idea about how much you need to sell them for to reach your goal. A slightly different way to look at your financial goals is to establish an hourly or daily rate for your work. How much is your time worth? In one video I’ve seen, it is suggested that you should charge a minimum of $500 per day of work. But even this can be a little complex for us potters because we still have to figure out how many pots we can make in a day. And with drying time, firing time, loading and unloading, and actually working on the pots, there is no way we can finish a pot in a single day. So we would have to complete a cycle of pots and divide how many pots we finished by the number of days. It gets even more complicated if we are making different kinds of pots that take different amounts of time to complete. 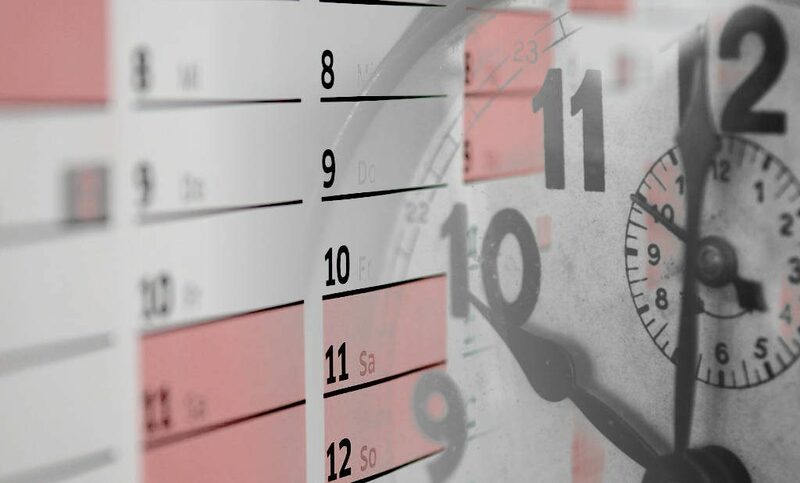 If you are using an hourly rate, make sure you count ALL the hours. Not just making pots but photographing, listing, marketing, setting up, tearing down, etc. Even if you have a formula for pricing your pots, you may price certain pots differently to serve a specific purpose. For example, you may want to get potential customers to make their first purchase from you and hope that they become return customers. You could have some small or simple items priced very affordably. That way, they feel less risk for buying something from someone that they have never bought from before. After they make the purchase and see that your work won’t turn their lips green or that they really like the glaze you used, they will be more comfortable buying from you again. On the other hand, you may have some very unique or limited work. You could price this work higher to reflect the importance of these pieces. If you have fans or collectors that love your work or people that want to buy items that few other people have, they will be happy to pay more for this type of work. Ah, one of the foundations of a free market. 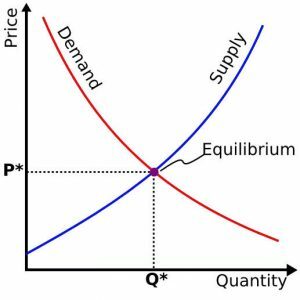 More supply than demand leads to lower prices, more demand than supply leads to higher prices. One simple application of this idea can be applied to the way that your work is selling. If you have certain items flying off the shelves, especially if you can’t make enough to keep up, it’s time to raise your prices. On the other hand, if you have certain items that aren’t selling at all, you may consider lowering your prices on these items. But be careful with that, it could be that you just need to find the right market for those items. In many jobs, people with more experience or expertise get paid more. If you’ve been making pots for a long time you have probably learned plenty just by trial and error. You may have also built up some knowledge through workshops, classes, or other training. All these things cost you something. In some cases there is an actual financial investment. In all cases you have to invest some time. This cost can be considered when you price your pots. Usually we get better at something the more we do it. I am completely comfortable charging more for my pots now than I did years ago because I’m making better pots. As your experience and expertise grows, your personal style should develop as well. As you learn more and master new techniques it should open up new possibilities for you to explore. As you combine these new possibilities with your unique experiences and view of the world, your pots will take on your own unique style. If you have something unique that customers can’t get anywhere else, you can charge more for it. Some potters will even allow customers to order custom work. 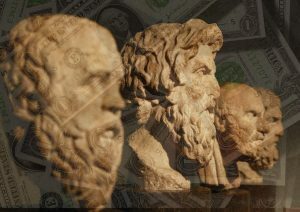 If you complete something that is different than what you normally do, many feel that you should get paid more for it. Many customers expect to pay more for custom work as well. These next two things could be lumped together but I’m going split them up and make a small distinction. The word market can have several different meanings. You can think of your market as retail vs. wholesale. Some potters charge a certain price for retail and half that price for wholesale. Another way to think of your market is the kind of people that could buy your work. If you sell all your pots in person your market is limited to your geographic location. But your market can also include your followers and fans online. If you live in a big city with higher cost of living and there are a lot of people looking for high end work you’ll probably be able to charge more than if you were in a rural setting where the majority of the people are looking for something practical and more conservatively priced. You may also think about the market that individual events reach. 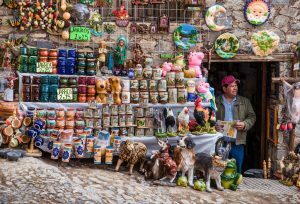 If you are doing a local craft show with a random assortment of vendors with lower priced items, you will probably see a lot of people looking for lower priced items. You may want to have plenty of smaller items available that aren’t too expensive. If you are selling at a regional show with only ceramic artists, it will probably attract more visitors that are willing to spend a fair amount on some of your finer work. If you are selling your work in a high end gallery, people are probably willing to spend more money on an item but the gallery will also keep a percentage of the purchase price. Some potters try to keep the cost of a pot the same no matter where it is sold. Some potters adjust the price of a pot for different venues to make sure they get a specific amount of money from each kind of pot they sell. Your customers and prospective customers are the people that make up your market. If you have identified a certain market you can start to think more specifically about the individual people. What kind of jobs do they have? What age group are they in? What do they spend money on? Why do they buy things? What kind of connection do they have to your work? Some people that are trying to sell a specific item even create a detailed profile of their ideal customer. This helps them decide what kind of people to market their work to. The better you know your future customers, the better idea you will have of how much they will be willing to pay for your work. It may also be a good idea to pay close attention to feedback from your customers. Do you notice any trends when talking to people about your work? Is there something that multiple people really like or don’t like? During one event, if 10 people ask if you have a certain item in blue (yeah, blue, I know…) maybe you would sell more of that item if you find a nice blue glaze. Another thing that can help you get an idea about how much to charge for your pots is to see what other potters are charging for their work. The more similarities you have to another potter the closer attention you can pay to their prices. For example, if you make similar pieces and fire the same way as someone who sells their pots in the same area as you, you may get an idea about how much you may be able to sell your own work for. But if you are looking at prices of pots that are made by a completely different process and are sold in a different part of the world, those prices probably won’t help you as much. Be careful not to put too much weight into the price of other potters’ work. 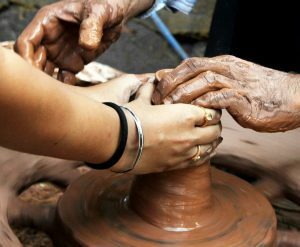 There are so many variables to consider and your situation could be quite different from any other potter or ceramic artist. If you are reading this article, you are probably aware that there is an enormous community of people that make pots. As you price your pots you may want to consider the effect your prices could have on other potters and the public view of ceramics in general. 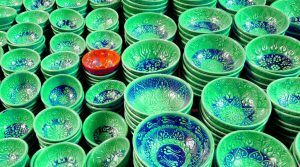 If you price your pots very low, other people may subconsciously see that your pots are not valuable. This may cause them to think that all pots are not valuable. Of course, that is not what we want people to think. Okay, you probably won’t check the Dow Jones every time you price a pot but it won’t hurt to note any major trends. For example, the recession in the US that started in 2008 didn’t just hurt the auto industry and big corporations. Other potters that I talked to noticed a decline in sales. This makes sense because if the whole economy is slumping, a lot of people won’t have extra money to spend on handmade goods. On the other hand, a booming economy may mean that more people have extra money to spend on handmade good instead of settling for a cheap Walmart mug. Everyone has a unique worldview. If you’ve made enough pots to think about how to price them, you’ve probably also started to develop your own beliefs about pottery and business. Some of the things mentioned above may even be part of your philosophy. As you sell more pots and interact with other potters you may start to take a side on some of the issues that are debated. Do you view pottery as a craft that can be mastered and produced repetitively or is every pot a unique work of art? Should everyone be able to own a handmade pot at a fair price or should handmade pots be highly valued? Do you allow customers to make requests and offer them custom work or do you focus on what YOU want to make and eventually find the right person to buy what you create? Do you charge the same price for a pot no matter the venue or situation? Do you charge more for work in galleries? Do you offer discounts to increase sales or do you think that devalues the work? There are many decisions to be made but just remember that for everyone that thinks it’s right to do something one way, there is another person that thinks it’s right to do it a different way. Just establish your own beliefs, be able to back them up, and be confident as you price your pots. How Do YOU Price Your Pots? Do you consider anything else when you price your own pottery? What is most important? How is your situation different from other potters you know? Leave a comment below so we can learn from you! You can also listen to episode 15 of the MudTalk Podcast to hear how many other potters price their work.